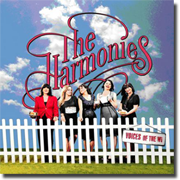 Robin recently featured as Musical Director working with the new female vocal group The Harmonies, the voices of the Womens Institute signed to Universal Records. As well as arranging most of the songs on the album, Robin also wrote many of the complex vocal harmony parts & featured as a musician on the album playing piano, keyboards & horn. So far, the group have appeared on several BBC TV programmes and also performed at Clarence House for Prince Charles.